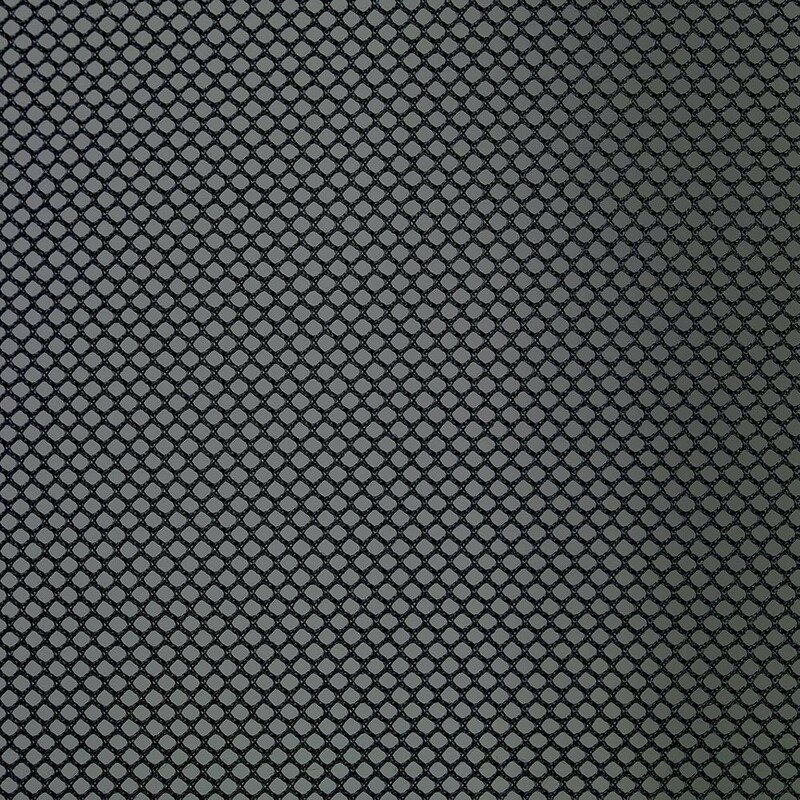 An enclosure is essential to ensure safety on your trampoline. It prevents users from falling out of the jumping area. However it can be damaged by the weather and repeated shocks. We recommend checking it regularly and changing it as soon as it is damaged. 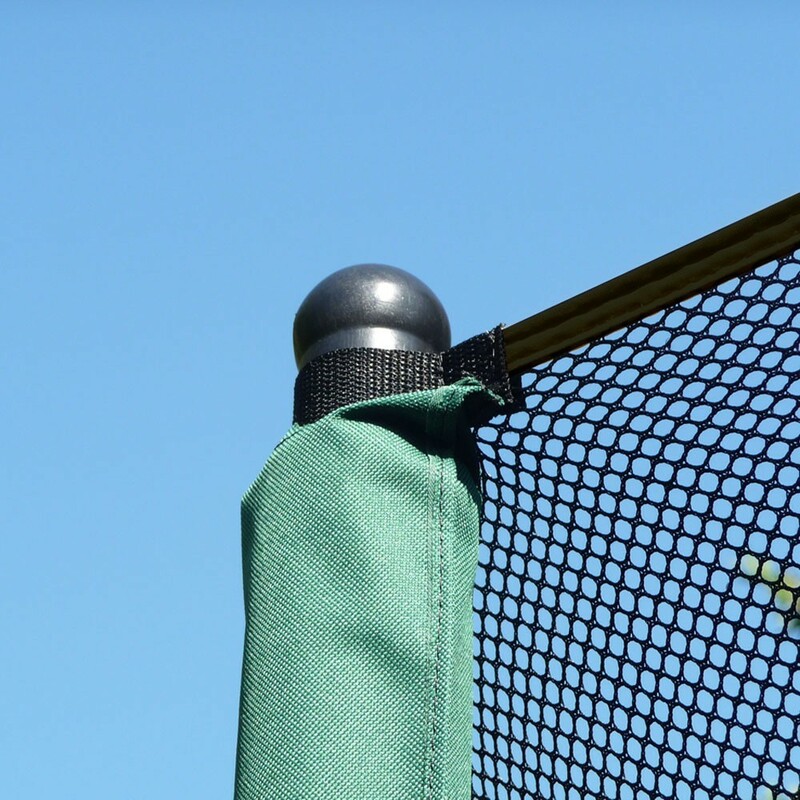 - This net is adapted any trampoline of 3.05 m in diameter, using an enclosure with 8 net posts. 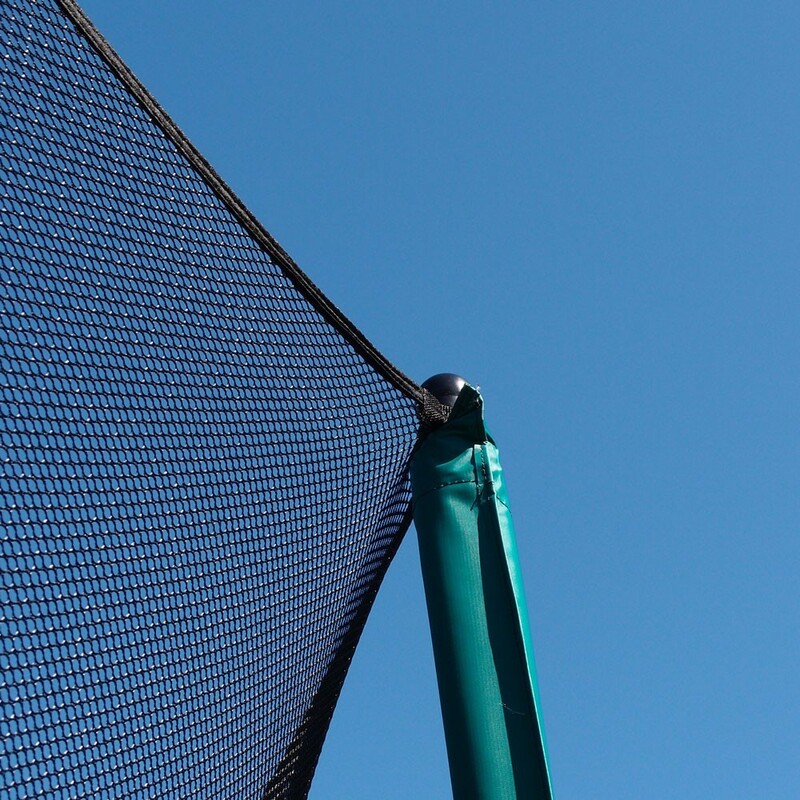 You must also check that your trampolines has net posts of a maximum of 2.50 m in height, where the steel framework is at 76 cm from the ground, this will give optimal tension. - Your 8 posts should have plastic caps at the top in order to fix the fabric straps. 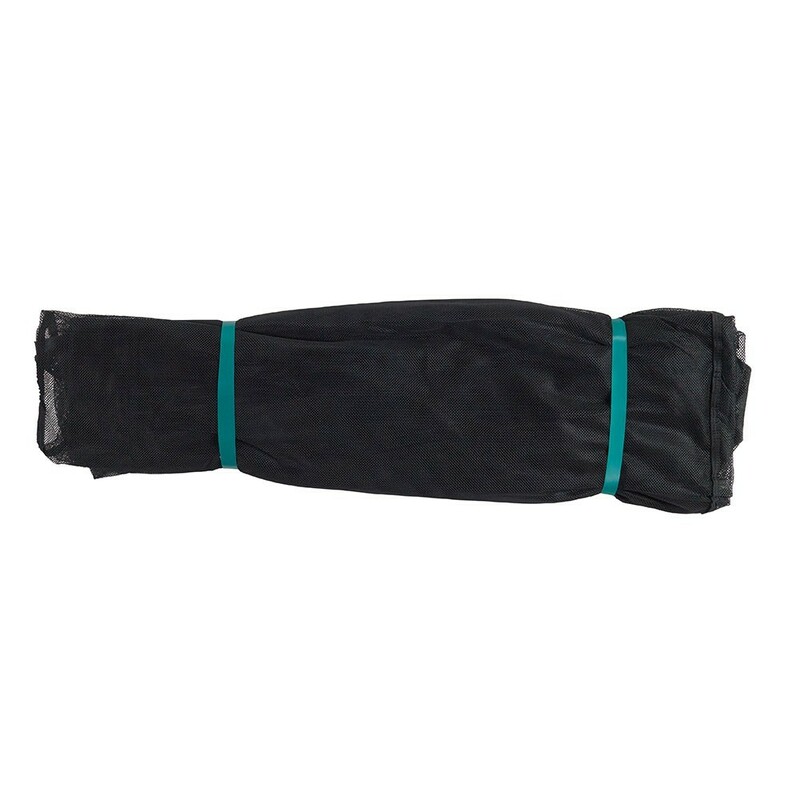 - This enclosure is made from polyester, a solid fabric which has been tightly plaited, preventing children from getting their fingers caught. It also makes the net soft to touch. The enclosure has also been protected against UV light to improve its durability and means you can leave it outside all year round. 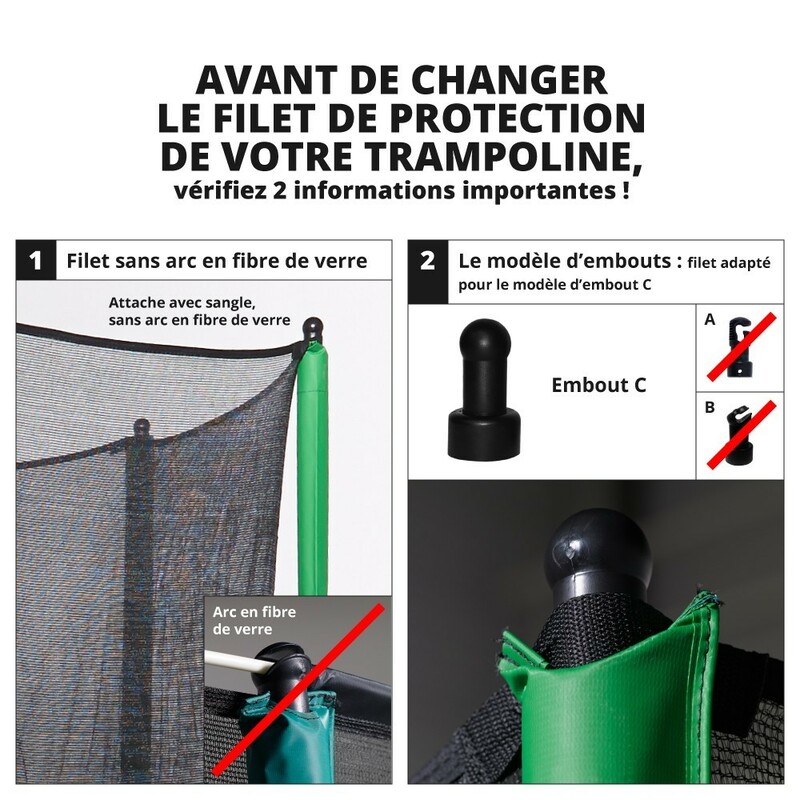 - Entry to the trampoline is ensured using an L shaped zipped door, with stitching that can be easily spotted, as it is a different colour to the zip and netting. 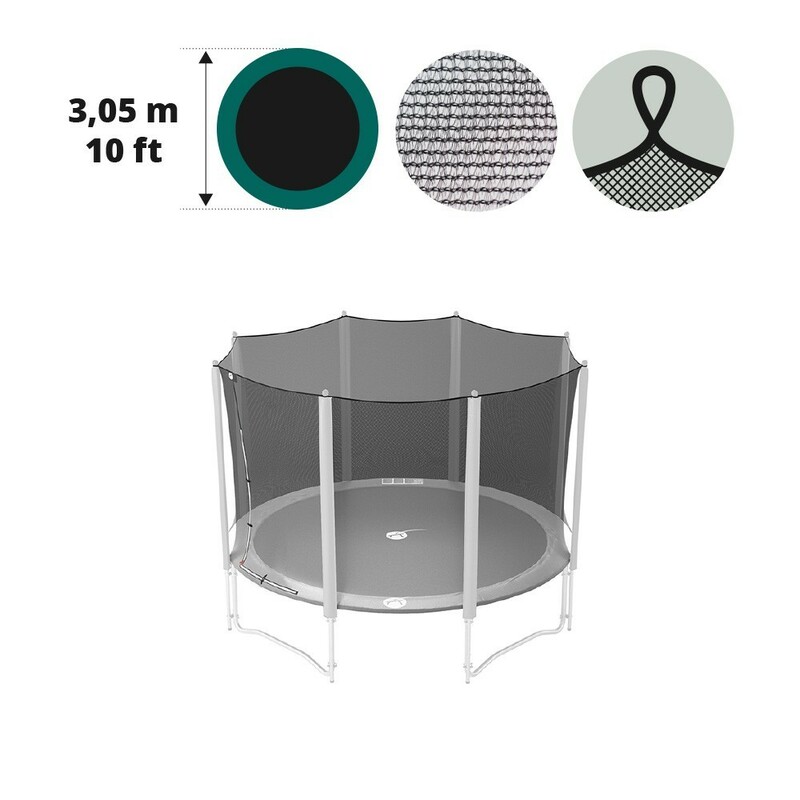 - The lower part of the enclosure is directly attached on the springs, going around the steel framework of the trampoline, efficiently stretching the polyester netting and rendering access between the frame pad and netting impossible. 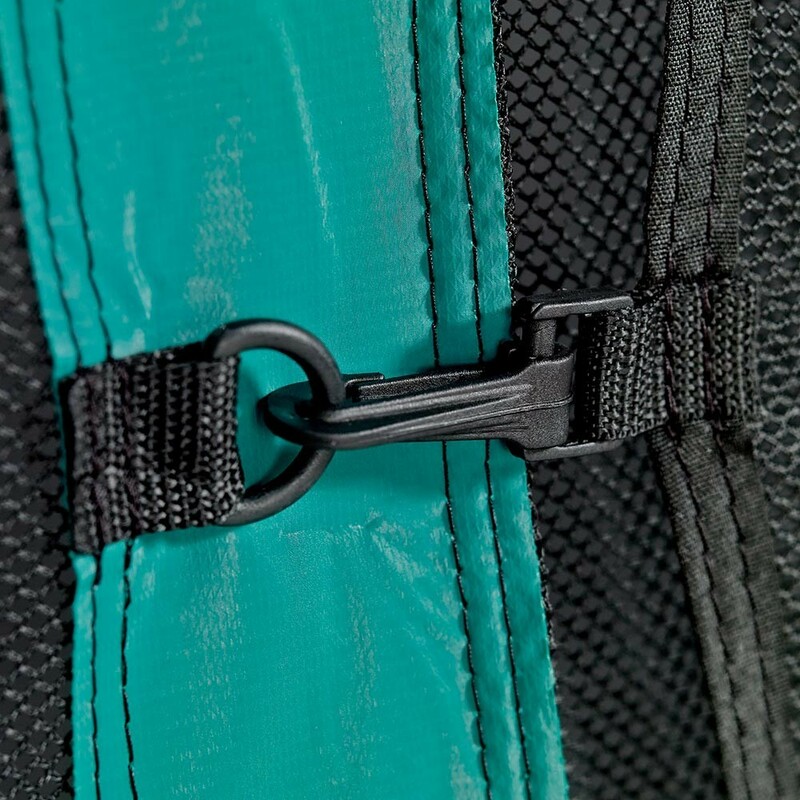 Elastic straps and clips are used to ensure the fixation of the net to the springs of the trampoline.